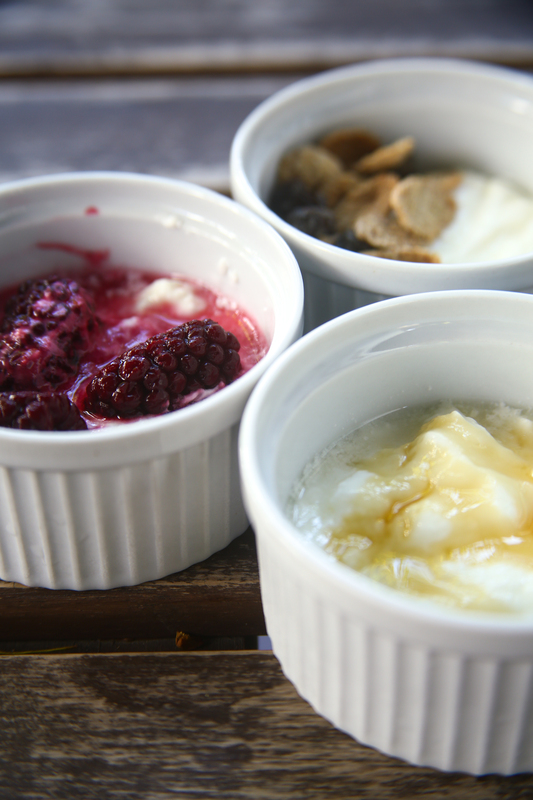 Homemade yogurt is a cheaper alternative to store bought yogurt, and the best part is that it is way healthier. No preservatives, no unnecessary food colouring and no overload of sugar. Once you’ve tasted this yogurt, there’s no turning back. 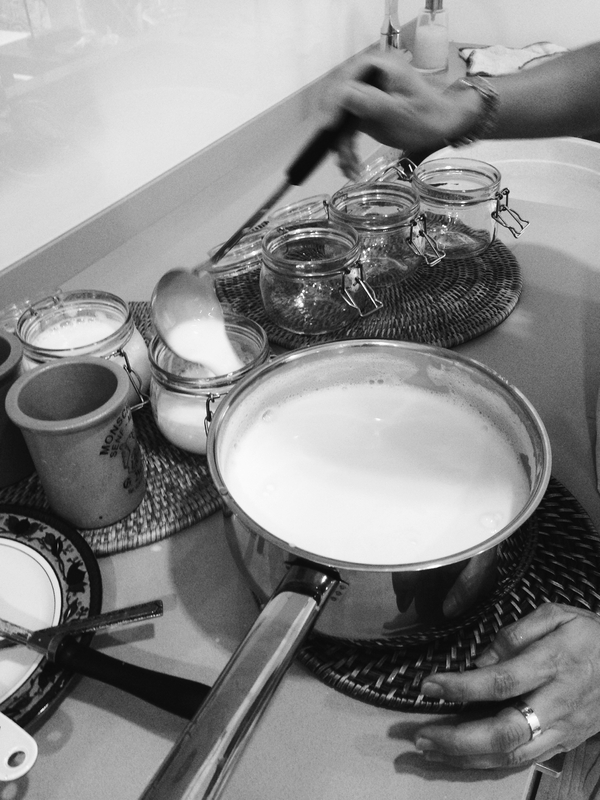 My mother absolutely detests commercial yogurt and loves our homemade yogurt. 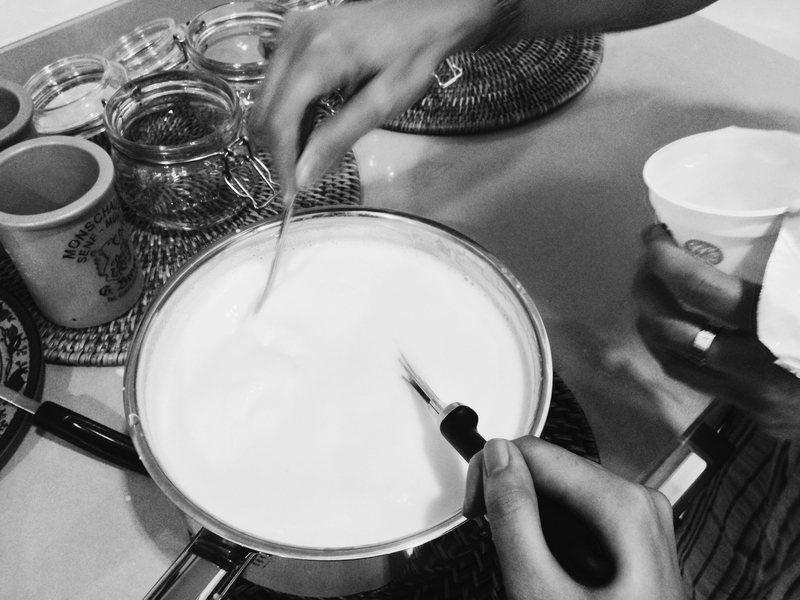 It’s not difficult to make yogurt at all, at least not as difficult as you think it is. 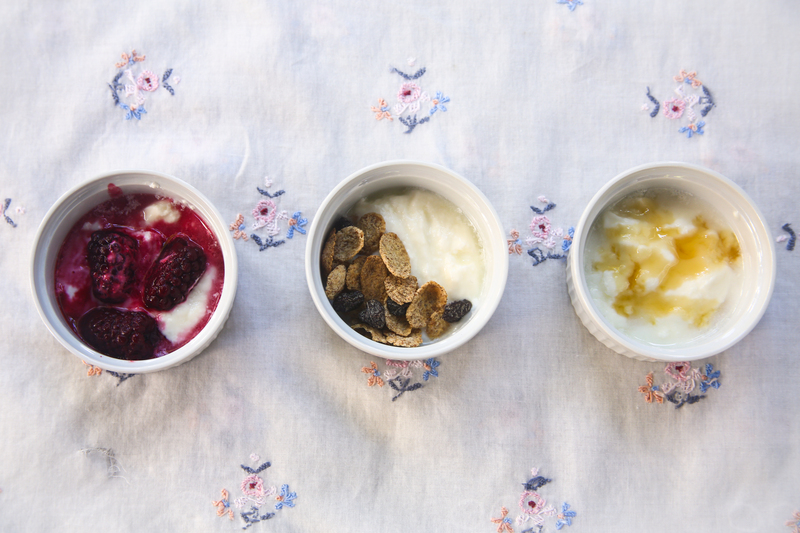 To make your own yogurt, you have to understand how it works first. The base ingredient is milk and milk contains lactose. You have to add in a starter which is a cup of commercial yogurt or a cup of yogurt from your previous batch because this starter contains the probiotic bacteria that will convert the lactose into lactic acid, the thing that makes yogurt tart and thick. Warming the milk and incubating the mixture provides the ideal environment for the bacteria to work. One important tool you need is a thermometer which you can buy for $13 at Phoon Huat. Temperature is key in making yogurt, you want to make sure you don’t kill the cultures. Another important tool is an incubator. My De Dietrich oven has a yogurt function that maintains the right temperature and I didn’t discover it until I made my first batch of yogurt and started playing with the oven functions. Go look at your oven closely and perhaps you might discover this amazing function! If you don’t have this function, you could just turn your oven light on and place the bottles in the oven or you could place the mixture in a flask. 1. 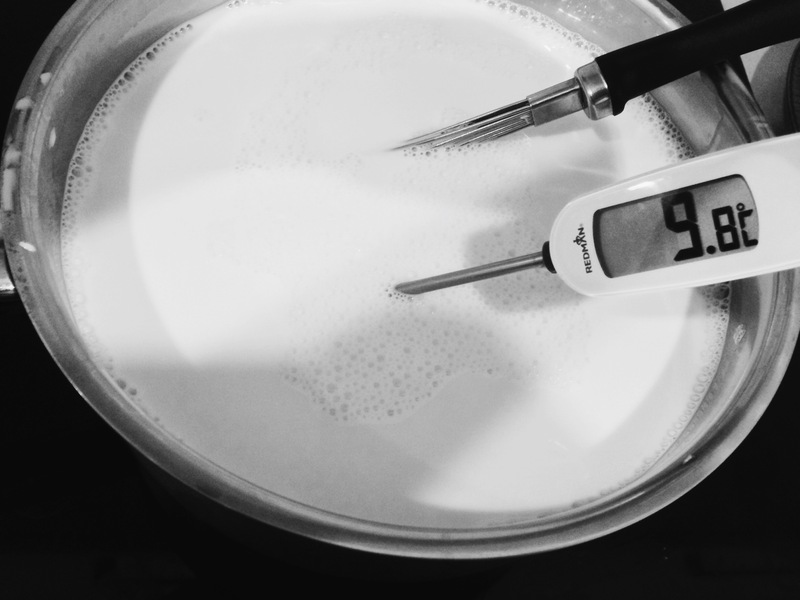 In a pot, warm the milk to 82 degrees Celsius. 3. Once it has reached 82 degrees Celsius, place pot in ice bath. Cool milk to 45 degrees Celsius. 5. Pour mixture into mason jars. 6. Place in incubator for at least 6 hours, best results are seen when it is left overnight. 7. Place in refrigerator to chill.